What does ”inner stillness” mean? The spiritual teacher Eckhart Tolle explains that if we can’t find the gap between thoughts – our inner stillness (or inner peace) – we are lost and in the hands of our ego. In his book “A New Earth – Awakening to your Life’s Purpose”(chapter 8), Eckhart Tolle talks about the importance of re-connecting with our inner space so that we can be more aware of our behavior and find inner peace. When we find our inner stillness, we enter the spiritual journey towards enlightenment. 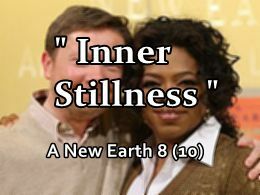 Oprah Winfrey was very fascinated by the book “A New Earth – Awakening to your Life’s Purpose”, so she invited Eckhart Tolle to her web-classes to discuss how we all can find inner stillness and peace – away from the ”mind chatter”. Below is a summary of their interesting discussions, plus video clip. Discover your inner stillness; away from the continuously arising thoughts and emotions that we humans all have. Inner stillness is a state of mind where we are completely present without the continuously arising thoughts and emotions that we humans all have. In this article, the gap between thoughts is referred as “inner space”, “consciousness” and “inner stillness”. Eckhart Tolle explains that in many people’s life there doesn’t seem to be enough “inner space” (inner stillness). The mind is full of stuff; full of one thought after the other, full of continuously arising thoughts and emotions. The external life is full of things that need to be done, one thing after the other etc. There is always one thing to do after the other, one thing to worry about after the other etc. Object consciousness needs to be balanced by “space consciousness”. Why is it important to find Inner Stillness? Without inner stillness, we automatically react to situations by yelling, screaming, being offended, frustrated, hurt etc. We let our ego run our lives. In order to be more conscious, we need to find space between thoughts. When we find our inner stillness and thus become conscious, we don’t allow our ego to react unconsciously to life situations. Instead, we become the observers of our thoughts and emotions, and this gives us time to ”act” consciously – instead of ”reacting” unconsciously (following the ego). We become more peaceful and harmonious. Spiritual enlightenment comes when we become more aware and conscious – when we find our inner stillness. If you can’t find the gap in-between your thoughts, you are lost. If you can’t find that inner space between the thinking and perception, you lose yourself in things, in the world, and in your own mind. You continuously get drawn into every thought that arises. Without inner stillness, you are lost in sense perceptions, thoughts, and emotions. If there is no “spaciousness” within you, you have not yet touched the spiritual dimensions. As you discover your “inner space” – the gap in-between thought – you will enter your spiritual journey. When a gap arises in-between thoughts, you will discover your inner stillness. But how can we discover this “inner space”? You can’t leave your mind, you can only go beyond it. 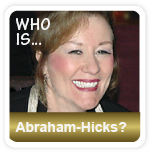 The answer is: by becoming conscious of yourself as the perceiving presence. You have to experience this to know what inner stillness truly means. Look at a flower. As you look at a flower you naturally become conscious of the image and the smell of the flower through sense perceptions. This is all familiar, but let’s move on to the next step. While you are looking at a flower, can you also become conscious of yourself as the perceiving presence (without which it would not be perception)? Can you sense yourself as the presence that is looking (that is making the perception possible)? You live in two worlds at the same time. In the background in your life there is suddenly a vast but intensely alive peace. Because, being conscious of being conscious is very peaceful and that is where true inner stillness (inner peace) arises. Eckhart Tolle explains that the “inner space” is the observer of yourself as you are happy, sad, worried, angry etc. This means that as you get re-connected with your “inner space” (or inner stillness), you will become more peaceful and aware of your behavior. 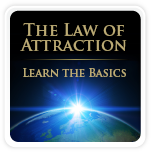 You will not automatically react on things that are happening to you, instead you will be able to step back from an unwanted situation. For example, let’s say that something has happened to you that “makes” you angry. The presence can be there in the background saying “I am out of control and need to calm down”. That part of you that understands that you are “out of control” is your “inner space”, free from Ego. As you understand that you are “out of control” you are not completely out of control, because there is a knowing/consciousness in the background. You will not be “lost in words or actions” as you are present and connected with your “inner space”; your inner stillness. The Harvard-trained neuroanatomist and brain scientist Dr Jill Bolte Taylor, discovered her “inner space” and the “conscious of consciousness” itself, when she had stroke several years ago. Dr Jill Bolte Taylor met with Oprah – read the summary and see video clip of their fascinating conversation Oprah and Dr Jill Bolte Taylor. Read the inspiring book ”Stillness Speaks” by Eckhart Tolle to learn more about inner stillness.